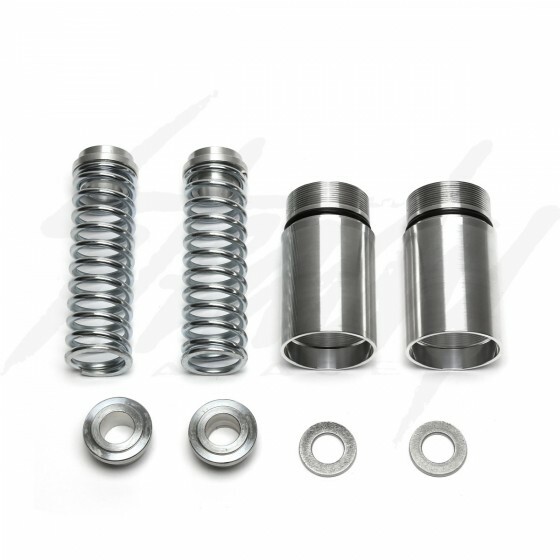 Composimo 2" front fork lowering kit for Honda Grom 125 / MSX 125! To lower the Grom for that slammed look, be sure to also purchase the Composimo Rear Lowering Link kit as well! Composimo 2" Front Fork Lowering kit will add-on to your existing stock forks without any cutting or modification. 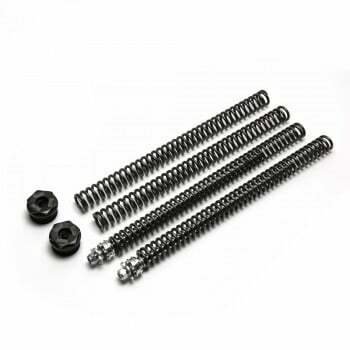 This kit will not only lower the front of the bike by 2", but it will also stiffen up the forks thanks to an Auxiliary Spring Pack that installs inside of the fork! Can still use ANY aftermarket top-cap, including the Tyga Pre-load cap! This kit is designed for looks and for show. That is NOT to say it does not handle well, but it is like lowering anything else, it will stiffen things up, and will make it ride a bit rougher. If you are used to riding a Ruckus or other over-sprung front fork setup, then you will actually find that this is very soft and comfortable. If you are used to riding bikes with 6" of front end suspension travel that dive when you hit the brakes, this will seem a bit hard for you. If you are looking for a racing application, where you need improved valving, etc... then this kit is not for you. There are some other fork setups available that may be better. 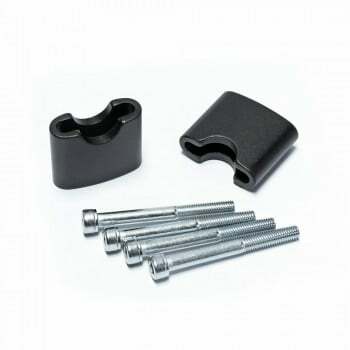 Gojin Universal 1.5" Handlebar Risers 7/8"